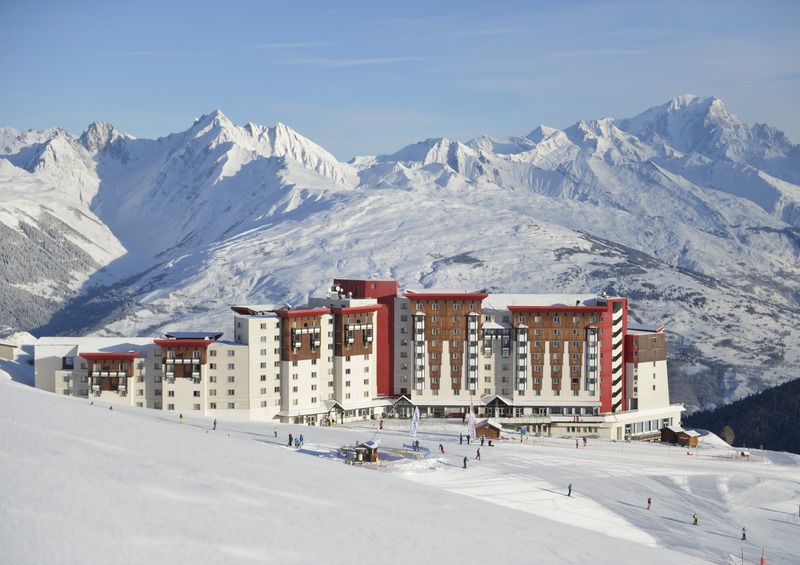 Club Med have chosen one of the best locations in the whole of La Plagne for their 4-Trident La Plagne 2100 Hotel. 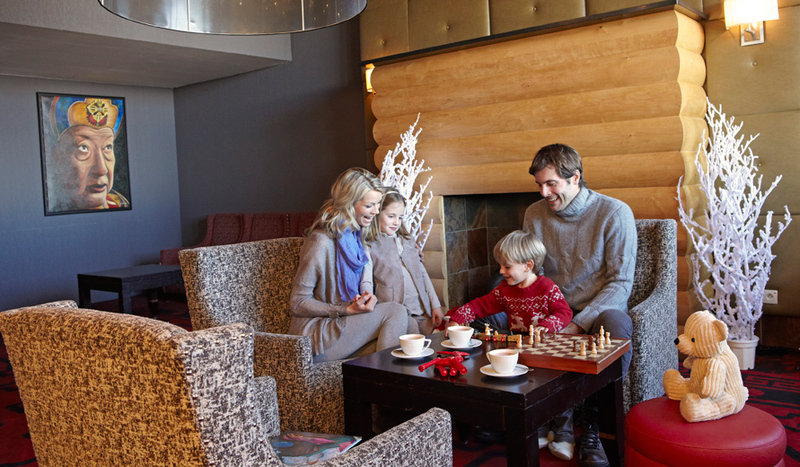 With skiing possible from the boot room door, plus a range of child care from 3 years upwards, this is understandably one of the most popular Club Med hotels for families. 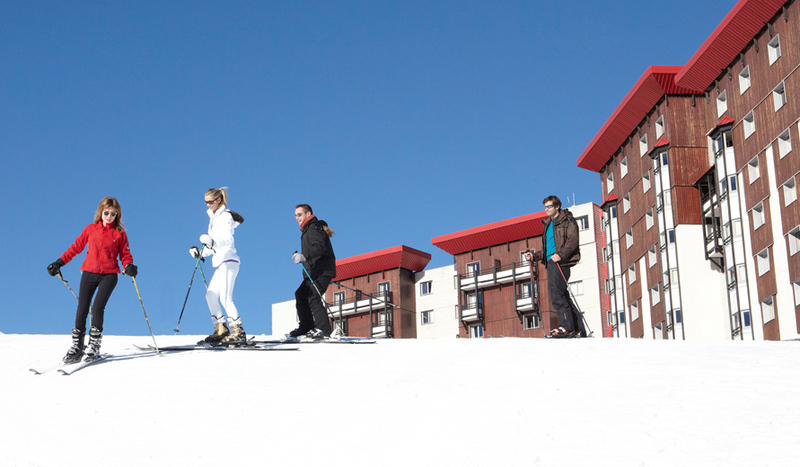 Full Paradiski Lift Pass is also included in the price! 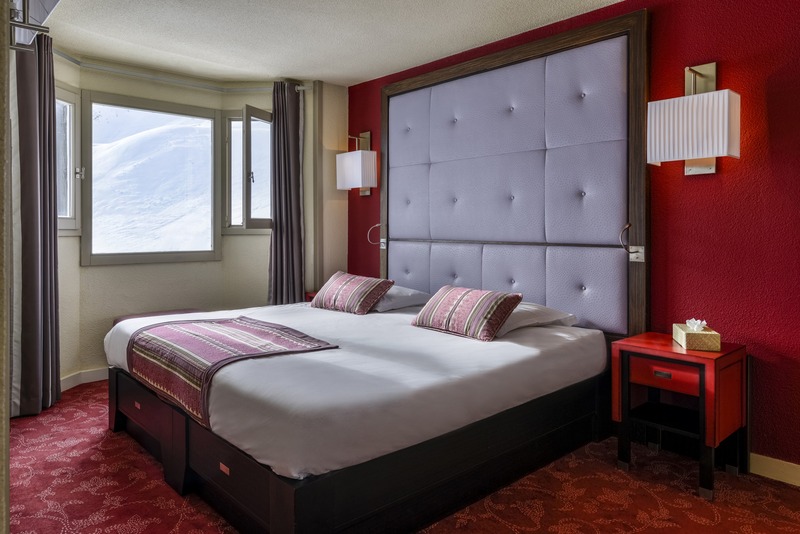 Club Med La Plagne 2100 offers the discerning Club Med skier a full 4-Trident experience, directly on the pistes above Plagne Centre. The striking modern exterior means you'll never struggle to make your way back to your accommodation. Once inside, realax in the spacious lounge/bar area or on the sun terrace, before you get ready for another evening of all-inclusive indulgence! 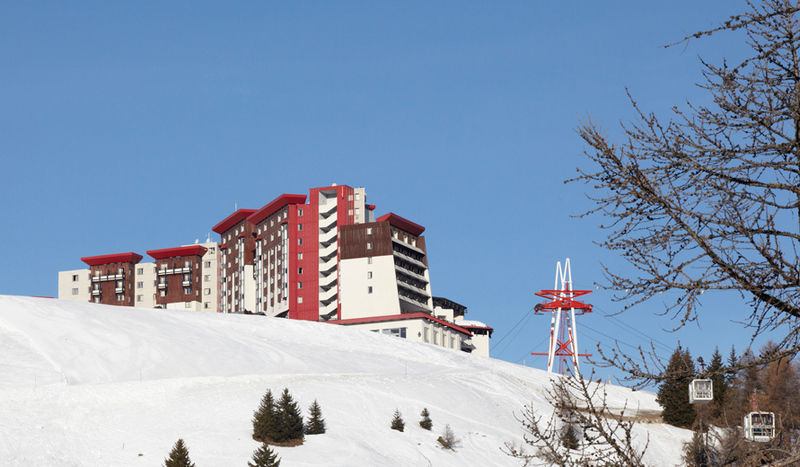 Plagne Centre is a short ski away from the hotel or a 10 minute downhill stroll. 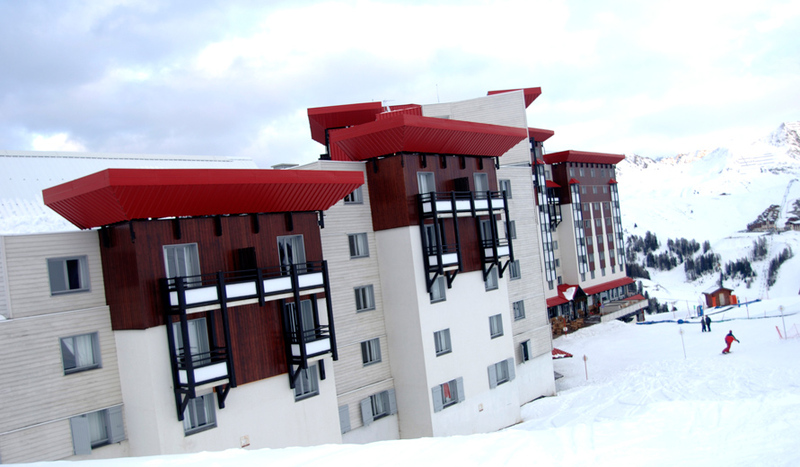 When returning to the hotel you can make use of the Telemetro cable car for an easy return without huffing and puffing. 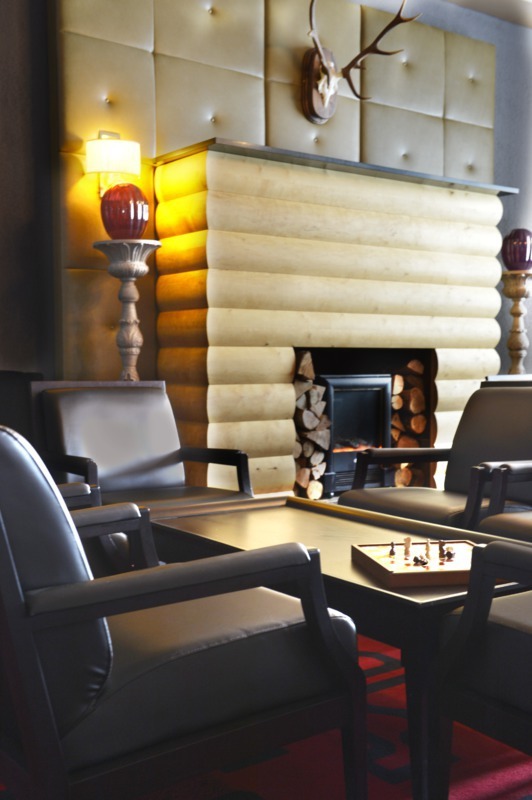 Club Room - A comfortable and elegant Club Room, available with connecting rooms. 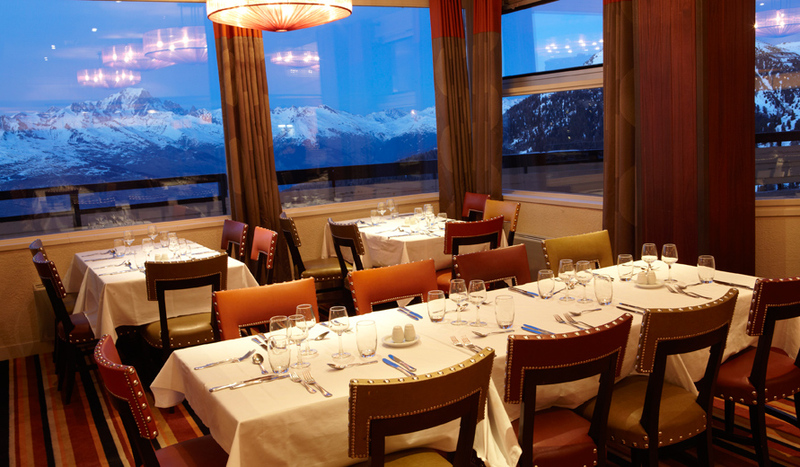 Additional options include a "Piste" or "Mont Blanc" View. All including Bathroom, Coffee machine, European electrical plugs / 220 Volts, Flat-screen television, Hair-dryer, Heated towel rail, Security safe(s) and Telephone. 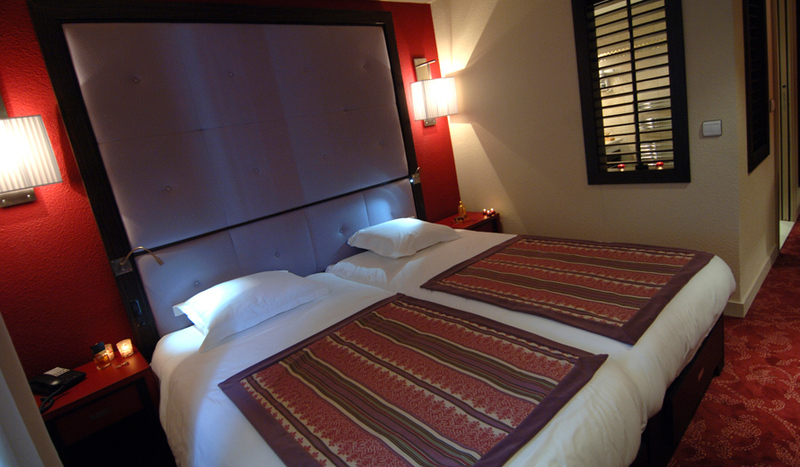 Deluxe Room - A spacious Deluxe room, offering a generous level of comfort in an elegant atmosphere. Situated on the 10th, 11th & 12th floors. 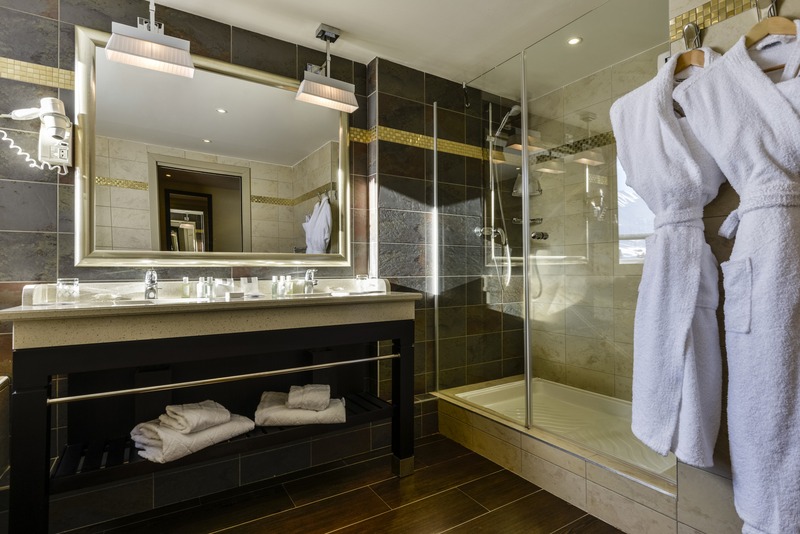 All including Bathroom, European electrical plugs / 220 Volts, Flat-screen television, Hair-dryer, Heated towel rail Ironing kit, Minibar, Security safe(s), Tea and coffee kit and Telephone. Suites - A spacious and elegant Suite facing the valley, with a furnished terrace, where you can savour a luxury standard of comfort. 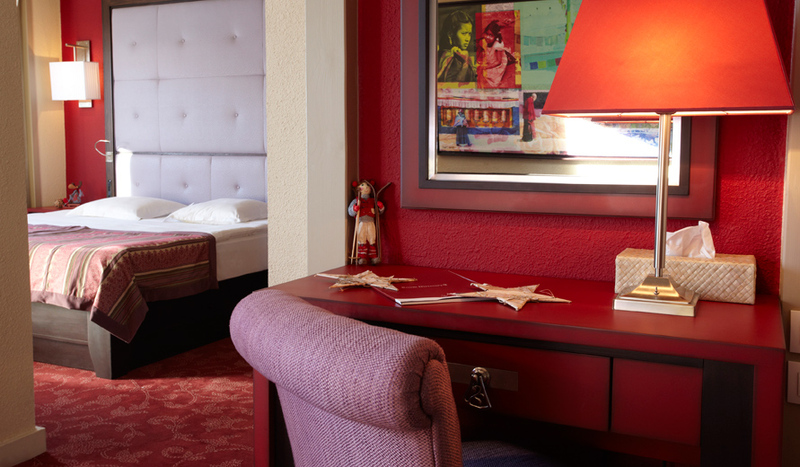 All including Bathroom (with bathtub and shower), Coffee machine, European electrical plugs / 220 Volts, Flat-screen television, Hair-dryer, Ironing kit, Kettle, Mini-fridge, MP3 player, Radio / CD, Security safe(s) and Telephone. 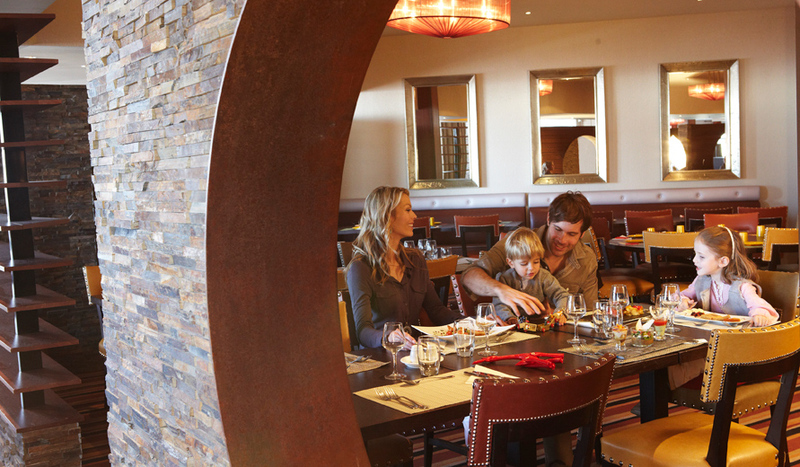 Club Med meal times are a memorable experience. The masterful chefs offer you a choice of the world's finest cuisine with freshly-sourced produce, mouth-watering flavours and ingredients that perhaps you've never tasted before; or you can choose universal favourites such as grilled meats, pizzas and hamburgers or there's also simple, fresh and light options on offer. 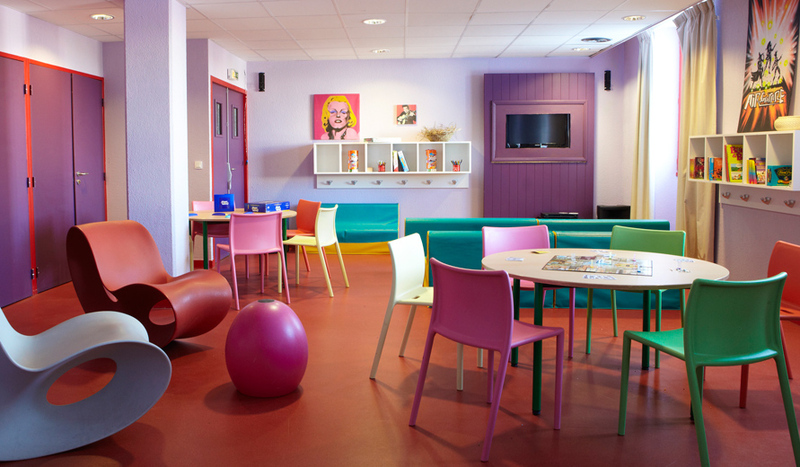 Club Med evening entertainment & underground nightclub!